Hello, Mommies, Daddies & would-be parents!! 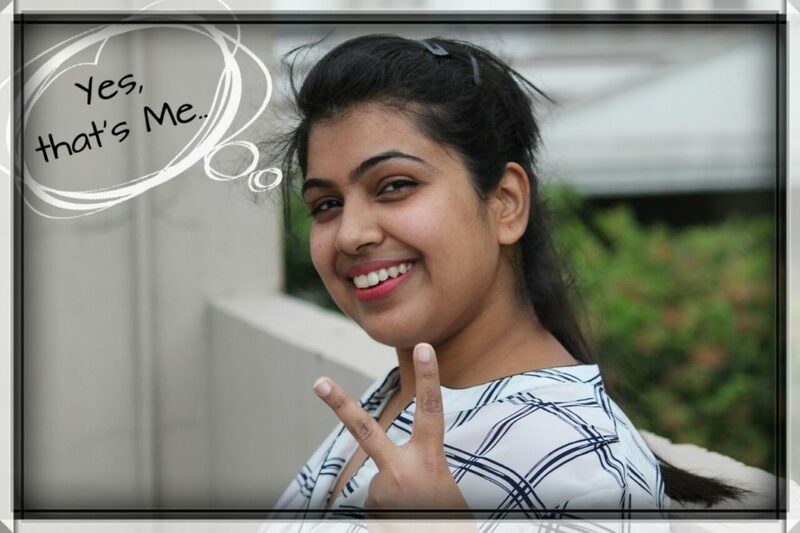 I’m Neha, born in Delhi, India and I have a crazy zeal for learning new things. I am a mother of 2 naughty kids, a boy Nemit & a dog Caesar and wife to the most understanding and loving man, Sumit. With this blog, I want to share my journey and experience with the world. The more I learn, the more I feel like sharing it with people around. How should I describe myself? My personality changes with each role I play. My family and friends know me as a happy go lucky person, independent, confident, adventurous, who take things as they emerge, who is fun loving, free spirit, always ready to fly and explore the world. And those who know me closely say am short tempered and way too emotional. Blogging has been such an unexpected gift in how it has rejuvenated me creatively and also in how it has introduced me to a whole community of women who inspire and encourage me on a daily basis. So, thank you, dear readers, for coming along for the ride. You make this work worthwhile. I want to extend special gratitude towards Babychakra (most trusted Online Community of parents in India) to be the most important factor in my blogging journey. I got all the motivation and inspiration from awesome mommies at Babychakra. You guys rock! I love my hubby to the core and can’t even imagine my life without him. In his words, I am the backbone of our family, manager, planner and the decision maker. Whenever I get sad and ask him, ‘who am I?’ his only reply is, ‘you are the engine of our train’. And I love to hear it every time. Like us on Facebook– to know more about our journey. Let’s talk about him a little. My husband’s name is Sumit and he is a software developer. 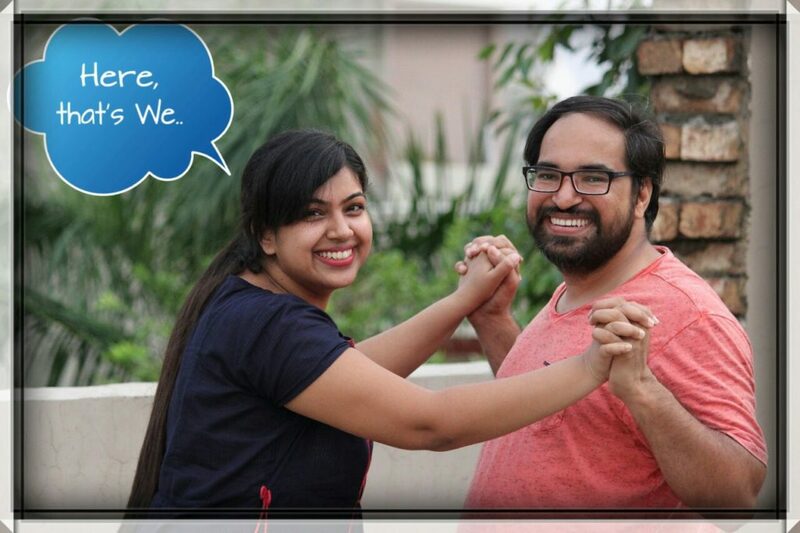 We got married in Feb 2015 and ours is an arranged turned to love marriage kind of marriage. He is a complete opposite of what I am. He’s the calmest, simplest, lovable being I have met till date and I wish my son to get some of his characteristics in life. He calms me down when I freak out and understands me just like a mother (haha..yes that’s so true). I am a proud wife of an imperfect perfect husband. He is the only one in this world who can tolerate my madness. I would not have been able to achieve any of my dreams if there had been no support from my husband, he is surely my only pillar of strength. If this blog is my Idea then everything behind the scenes is his efforts including the emotional ones. I am someone who loves kids since I was a kid, yes I am one fanatic bachha lover. People often ask me how I manage a dog and a baby all by myself 5 days a week. Frankly speaking, it is tough, quite tough, no a lot tough but what keeps me going is the infinite number of licks, cuddles, and laughter. ♥ When I am not busy with baby chores, I read! Novels, articles, blog posts, news, views and reviews fancy me most. ♥ I like to click pictures. I believe in capturing memories and storing them forever. Hubby gifted me a DSLR camera this Mother’s Day (2017) and I have started taking my passion for photography a little bit more serious. ♥ I am fond of online learning platforms; you will always find me enrolled and indulged with some or the other courses. “The capacity to learn is a Gift; the ability to learn is a Skill; the willingness to learn is a Choice.”- Brian Herbert. ♥ Our family’s combined interests are travelling, watching movies and indulging in adventure sports and activities. ♥ Professionally, I describe myself as a Science & Marketing person, on a break to enjoy Motherhood and Life. ♥ I believe in learning and growing. Recently I have discovered my interest in writing (I am not at all a gifted writer) but there is no skill one cannot master. ♥ My sun sign is Leo– the temperamental Lion with a Heart of Gold but my mind works on the Virgo Principle- masters of puns, wordplay, and really lengthy detailed rants dissecting people to the most insignificant (but hilarious) details. ♥ I am in my 30’s but have only 3 yrs of job experience which clearly shows that I am not a ‘9-to-6 job’ kind of a person, yet not ready to accept this fact. ♥ I never had a dream ambition but science always fascinated me, more specifically the life sciences. ♥ Whatever I do, is done with sheer dedication and I am addicted to bettering myself! ♥ I am a simple person with a complicated mind. Someday, I wish to inspire people.